Home Page / Home / Business / On This Day In Comedy… In 2005 The Film ‘Are We There Yet?’ Was Released By Columbia Pictures! On This Day In Comedy… In 2005 The Film ‘Are We There Yet?’ Was Released By Columbia Pictures! On This Day In Comedy… On January 21, 2005 The Film Are We There Yet? was released by Columbia Pictures! Originally intended as an Adam Sandler project, Are We There Yet? was produced by Revolution Studios and stars Ice Cube. In this literal road comedy, Cube plays a kid despising suitor determined to make Nia Long his woman. That means getting along with her two kids who do not like suitors. They terrorize all who’ve come around with devious booby-traps and at first Cube is no exception. The traumatizing twosome want to see their recently divorced parents get back together and until then all other men are the enemy. However, after volunteering to take them to their pre-planned destination when their real father wigs out, he wins them over, but not before experiencing the journey from Hell. The adorable little tykes get him beat up at the airport, destroy his prized new truck and run off to be with their dad. Once with pops they discover that guy isn’t thinking about their mother. He’s got a new woman and kid that mathematically is older than their parent’s divorce. Hurt and salty they warm up to Cube. If he went through all they put him through and still wants their mother – that’s okay with them. Directed by Brian Levant, Are We There Yet? 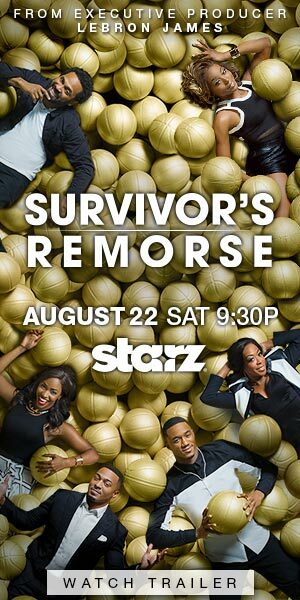 features the talents of Aleisha Allen, Philip Daniel Bolden, Jay Mohr, M C Gainey, C Ernst Harth, Nichelle Nichols, Sean Millington, Henry Simmons and the voice of Tracy Morgan. Are We There Yet? was not a big hit with critics, but what do critics know when it comes to what the public likes? The film opened #1 at the box office. On a $32 million budget, it grossed $97,918,663 worldwide ($82 million domestically and $15,244,265 internationally) and sold 3.7 million DVDs. It was so popular (sorry critics) it spawned a TBS television series in 2010 starring Terry Crews (in the Ice Cube role and Essence Atkins in the Nia Long role). It was nominated for the 2005 Teen Choice and 2006 Kids’ Choice Award for best Comedy and won the BMI Music Film Award. On This Day In Comedy... In 2003 'Chappelle's Show' Premiered On Comedy Central! On This Day In Comedy… In 1977 ‘Sanford Arms’ Aired Its Last Episode On NBC!